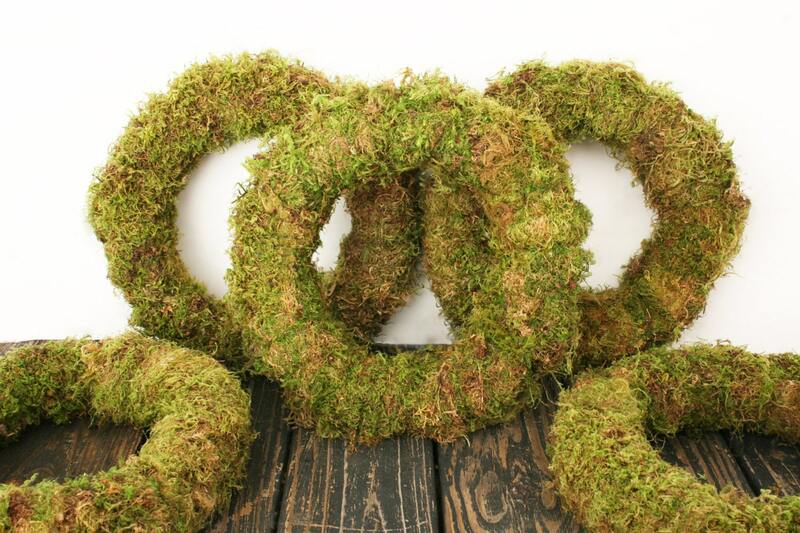 Take advantage of Bulk Buying where you can purchase five wreaths for the price of four. 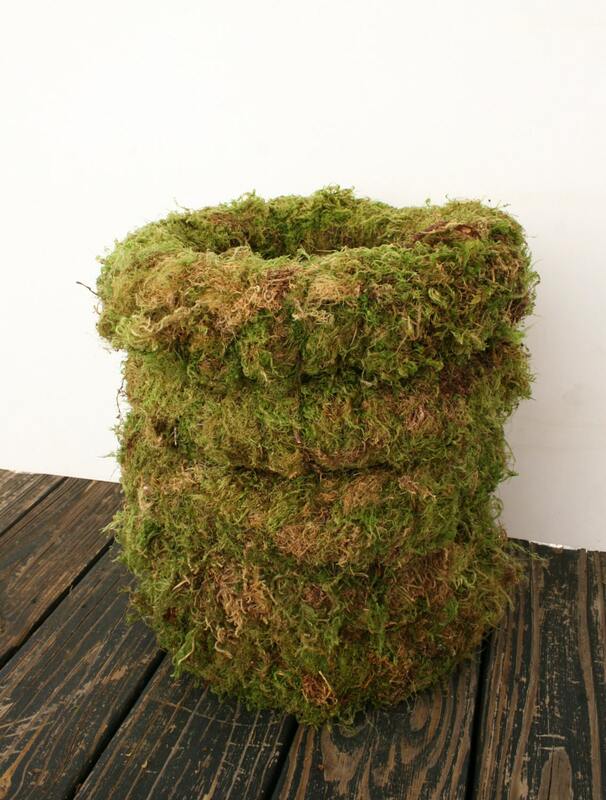 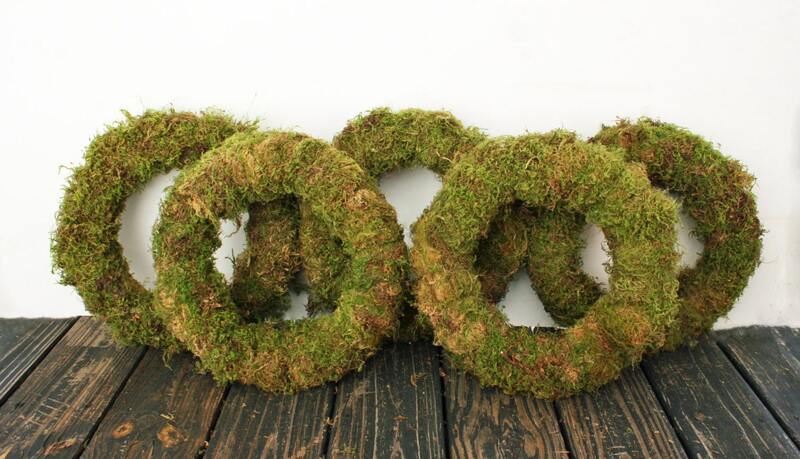 These 14 inch styrofoam wreath rings have been wrapped in preserved Oregon Moss. 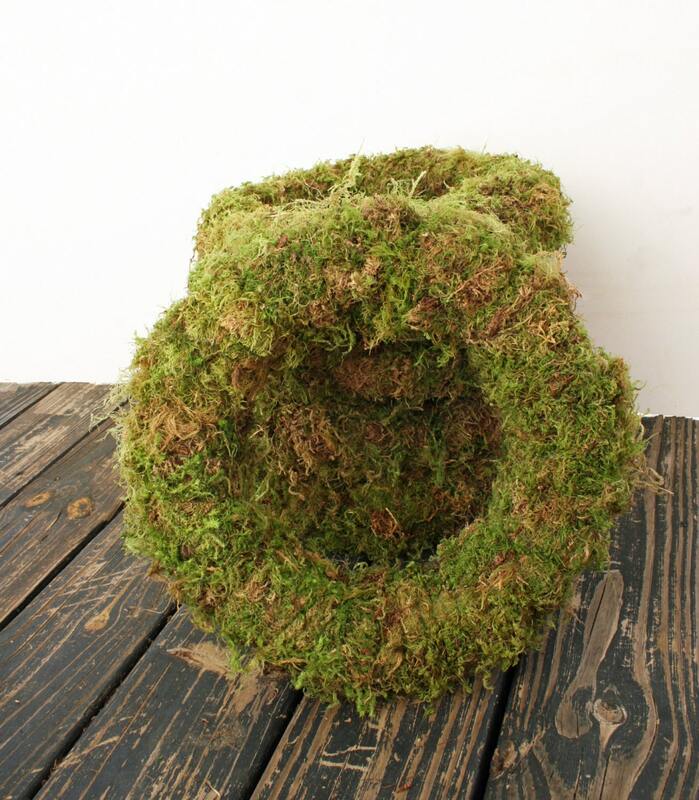 I used both craft glue and floral wire to ensure the moss stays where it should. 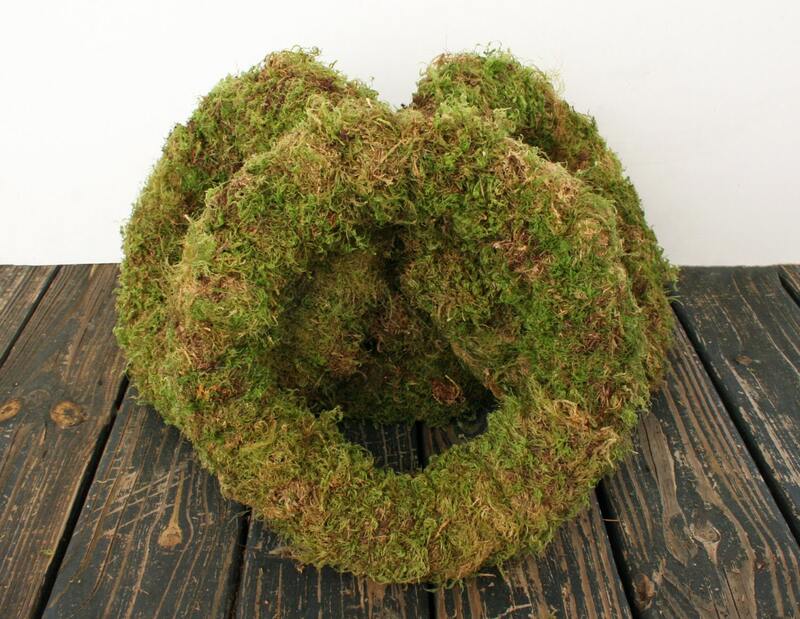 The finished wreath measures approximately 15 inches in diameter.